Digital Genie is a Digital Marketing company. 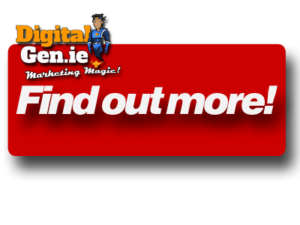 We offer Digital Marketing solutions to small businesses in Ireland & UK. We speicalise in Social Media and have great starter packages for businesses who have still to embrace Digital Marketing. Digital Genie believes that there are significant barriers for SMEs in adopting Digital Media and incorporating it into their Marketing Strategy. It’s not just about having a website or about being on Facebook; it’s a great deal more. The European Union estimates that in 2013 there were almost 140,000 SMEs in Ireland employing nearly 750,000 people and valued at €38bn. In the UK for the time same period there were almost 1.67 million SMEs employing almost 9.4 million people and valued at £473bn. That’s big business for small business! Marketing is all about finding out the needs & wants of your customers, meeting those needs & wants and doing so profitably!. Digital Marketing simply extends this process by using one or more forms of electronic media. Social Media Marketing is a type of Digital Marketing where social networking sites such as Facebook, Twitter and Instagram are included in the marketing Mix. 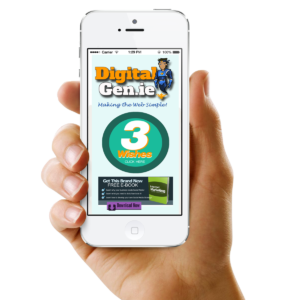 What’s so special about Digital Genie? Digital Genie is unique. We have designed solutions that target the top 5 barriers SMEs face in adopting Digital Marketing. Do any of these sound familiar? Lack of knowledge & understanding – what to do and how to do it! Fear – there is just so much to do and it’s very confusing! Restricted finance – I just can’t afford to do it! Scarcity of available talent – we don’t have anybody that’s able to do it! Time constraints – it will take too long, and we just don’t have the time! Sometimes when businesses go digital they can run into problems and even more barriers! Do any of these ring a bell? Lack of strategy – Many business dive straight into Digital Marketing without a full understanding of its power, reach and influence. They believe just being on Facebook is enough. Lack of prior research – Where are our customers online? What sites do they use? When is the best time to reach them? One way process – All successful marketing is a two way process. It’s not just about telling! They forget to engage with the customer using personalised content.